Oh What a Beautiful Winter Day! Thank you for your comments and fav's they are always appreciated. An incredible shot, a fav. So fantastic! That sun-gleam in the eye is killer! This is amazingly close for a Pileated Woodpecker. wonderful! They are so camera shy, but you got one. Such awesome detail! I love the lighting and the way it sparkles on his eye! Wonderful closeup with gorgeous light, detail and dof, fav for me. What a beautiful woodpecker, amazing light and DOF! I love the little twinkle in the eye, perfection. Awesome capture and a Fav! Fabulous shot. I like your pov and dof. Brilliant capture! Superb light too. I feel lucky if I happen to see one of these amazing birds far up in a tree — you get to see them so very up-close! I envy you! Ohh, lucky you! 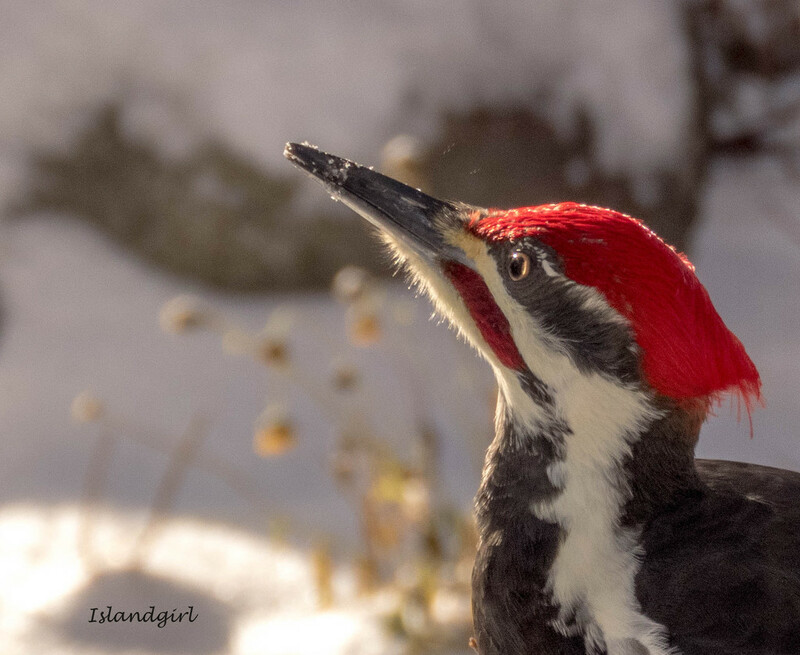 Love the light on this handsome male Pileated Woodpecker showing off his fabulous red. Wonderful dof, too. It's always a thrill to cast eyes on these magnificent birds. Great capture! What a spectacular close up. Wow, a great bird photo!! This is brilliant -- an instant fav, with great details and terrific framing. awesome pic! congrats on TT! So happy to see this on TT...congrats Sally! Great focussing. Love the colours. Congratulations on top twenty. Congrats on making the TT Kathy, well deserved!